Wilson Crowley searches for eggs at last year's New Canaan Nature Center Egg Hunt. 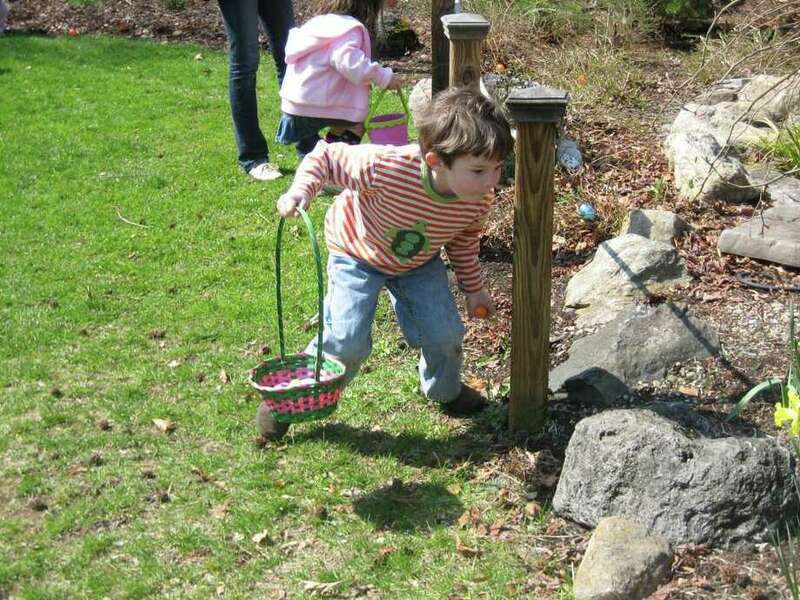 The New Canaan Nature Center's annual Egg Hunt is back again this year. On Friday, March 30, and Saturday, March 31, the nature center will host a series of egg hunts for small groups of children ages 2-10. The one-hour programs will take place at 2:30 p.m. and 3:30 p.m. on Friday and 11 a.m., noon, 1:30 p.m. and 2:30 p.m. on Saturday. Each program will include a spring scavenger hunt to identify signs of spring as well as a chance to meet the baby chicks that just hatched at the Nature Center. Kids will learn about the magic of eggs from NCNC naturalists and then hunt the grounds for hundreds of eggs filled with goodies. Representatives from Hop-Along-Hallow will also be at the Saturday events with their real bunny rabbits. Hop-Along-Hollow is dedicated to helping educate people on proper care of small pets and to create better living environments for rabbits and other small animals. Volunteers from the class of 2014 National Charity League Canaan Parish collected candy donations from league members and stuffed 2,359 eggs that are used for the egg hunts. The programs will take place rain or shine; the hunt will take place in the tropical greenhouse in the event of rain. These events sell out and advance registration required. Call 203-966-9577, ext. 20, or register online. The program is $10 per child for members and $15 per child for non-members.